When you’re part of the millions traveling this holiday season, doing it in comfort and ease is a must. Whether you like to put your tray table up and set up your iPad mini for some movie watching or use travel time dive into a good book or for online holiday shopping, we’ve got you covered so you can do it all in high style. Even better, all of the Speck cases and accessories that make traveling a breeze for you are also great gifts for the traveler in your life. 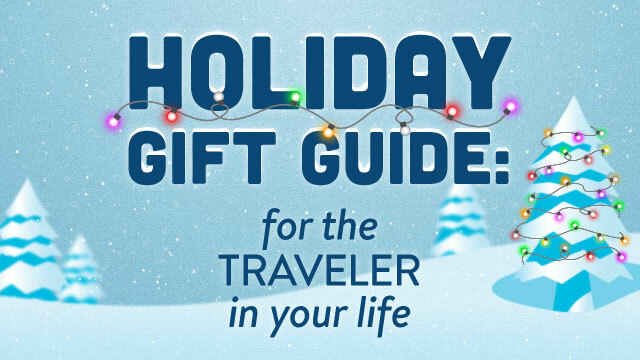 Check out our recommendations for the gifts they’ll be sure to love (passport not included). ShowFolio for iPad mini is the perfect choice for travelers who love to road trip. This in-car viewing iPad mini case makes backseat entertainment a breeze, plus- ShowFolio’s fold-away clips fit nearly all headrest posts. SeeThru for MacBook is the best way to surf the web while stylishly protecting a MacBook from the hazards of travel, whether by plane, ferry, train or wherever the holidays take you. CandyShell Card, available for iPhone 5/5s, iPhone 5c, iPhone 6, iPhone 6 Plus and Galaxy S4, is a great way to keep a photo ID, cash, cards and other traveling essentials close by. We’re not the only ones who think so, either. This iPhone 6 case made a list of 5 best travel phone cases from the blog Esther and Jacob! Of course, the best way to pass time in an airport is with a good book on your tablet. The FitFolio Nook HD case is a slim-fit protective cover plus an adjustable viewing stand that will help you pass the time while feeling cool and composed. Check Speck Buzz next week for our continuing gift guide series, packed full of gift ideas that will make you the hero of the holidays.